Fredia Mae Newcomb, 55, of Lexington, passed away Saturday, March 30, 2019. She was born April 1, 1963 in Richmond to Lillian Webb Fritz and the late John Paul Fritz. She is survived by two children, Brandon Lewis Newcomb and Paula Brittany Newcomb; two step-children, Martina Newcomb-Whitt and David Lewis Newcomb; four grandchildren; three sisters, Judy Mitchell, Eve Sizemore and Debbie Lewis; three brothers, Paul David Fritz, Michael Wayne Fritz and Douglas Ray Fritz; eight nieces and nephews, Shannon Bradley Howard, Michelle Fritz, Linda Fritz, Scott Fritz, Nicole Mullins, Macey Mullins, Jonathan Gillispie and Christy Gillispie. She was preceded in death by the father of her children, David Lewis Newcomb. No services are planned. 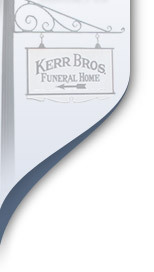 Kerr Brothers Funeral Home – Harrodsburg Road in charge of arrangements.